Ditch store bought taco seasoning packets and make your own! 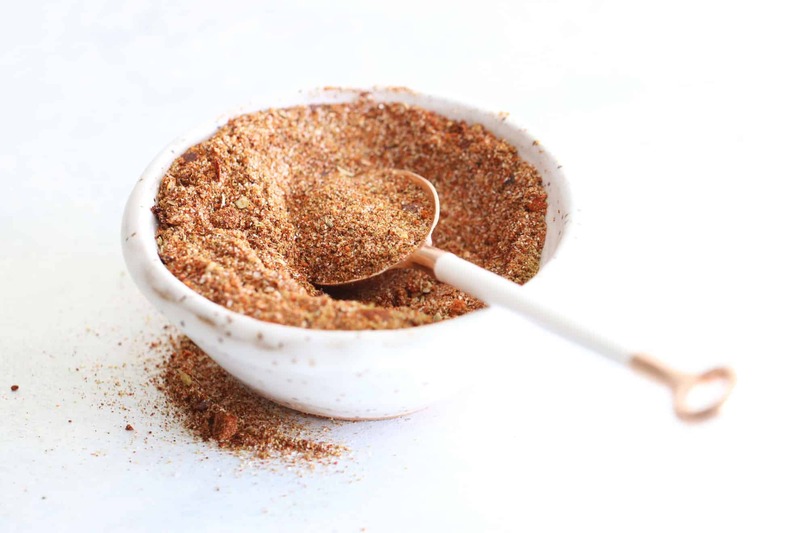 Enjoy this super fun and easy DIY homemade taco seasoning recipe! Let’s taco ’bout tacooo seasoning. I’ve been wanting to add some easy basics onto the blog and share some simple “how to’s that will help you along the way. This taco seasoning is such a fun place to start! I’ve incorporated this seasoning recipe into a few of my taco recipes but wanted to create a little nook that it could call home. I felt like the taco seasoning itself needed to shine and not necessarily be attached to a bigger recipe. Ya feel me? Taco seasoning packets are so easy. I definitely grab one here and there. 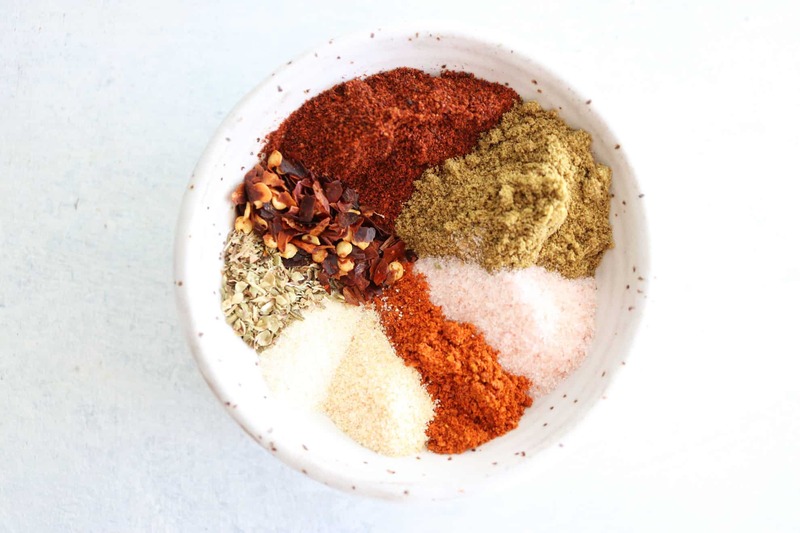 Buuut I also think it’s really fun and easy to make your own taco seasoning because 1) you already have all the spices in your spice rack, and 2) you get to customize the type of seasonings you want. Do you have a drawer full of organic spices? Do you like a certain brand of spices? You get to make the taco seasoning out of what YOU like. Plus, taco Tuesday comes once a week and sometimes you don’t always have those packets handy. So let me breakdown how to make the best, no fail taco seasoning! Basically you combine all the spices into a mason jar or extra, cleaned out spice jar, shake, and call it a day. Combine al the ingredients in a bowl or small jar. Mix together or put a lid on the jar and shake. Store in an airtight container in your spice rack until you’re ready to use it! I typically use 3/4 to all of this per 1 lb. of meat. However, if I’m making it for my kids, I only use about 1/4 of the taco seasoning mixture because they like it less flavorful. Enjoy!! Thank you the taco seasoning recipe! I have been looking for one. I add a little bit of dark gluten-free cocoa to mine and it enhances the flavor. Love your recipes and blog. Keep up the great work! I would probably use a few tablespoons on 1 lb. of meat! It depends how flavorful you want your taco meat, but 3 – 4 sounds right to me!